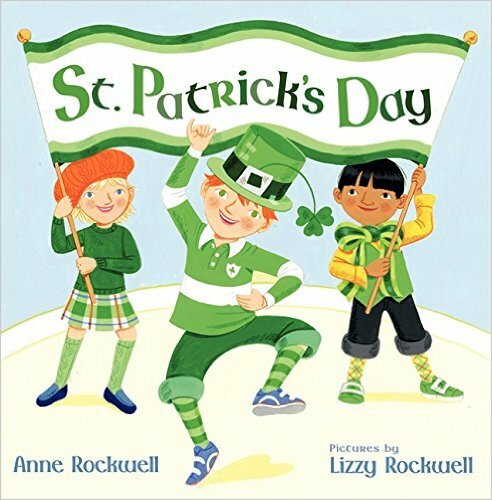 Once Upon a Learning Adventure: St. Patrick's Day Favorites! We also read an online article from the website, Pebblego.com. If your school doesn't have a subscription yet, you should definitely look into it! They have awesome nonfiction texts and video clips that are just perfect for first grade! 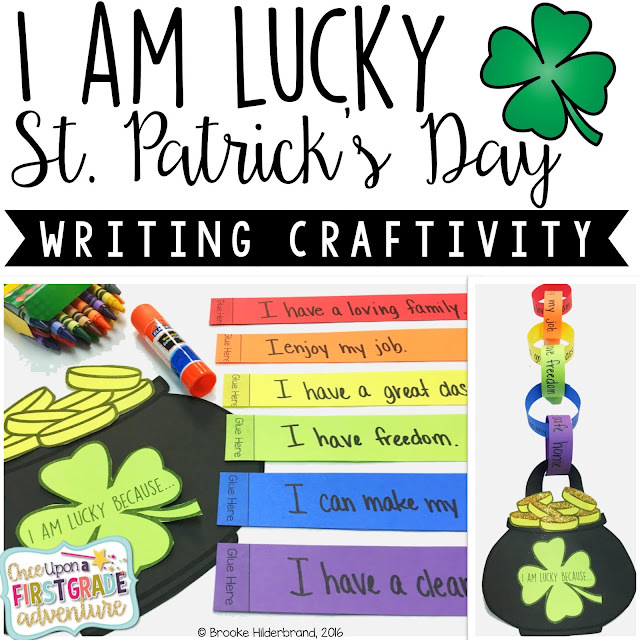 I love completing Writing Craftivities to celebrate holidays in first grade, so we'll be creating these fantastic and FREE pots of gold from The Teacher Wife. They are a firstie favorite every year! 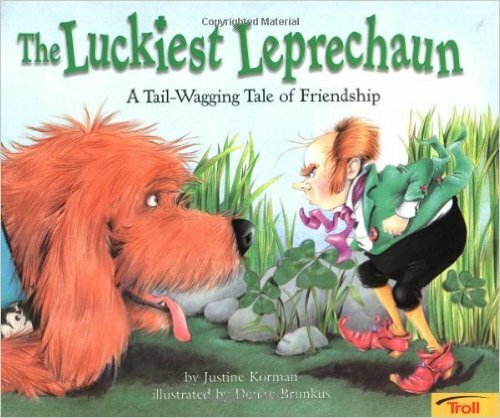 Finally, we'll be writing ways we feel lucky this St. Patrick's day and publishing our work on Rainbow Chain Pots of Gold! If you'd like to make your own I Am Lucky...Rainbow Chain Pots of Gold, just click the picture below to visit my Teachers Pay Teachers Store. Thanks so much for stopping by! Happy St. Patty's Day and Happy Teaching to You! Hello. Thank you for the article. I'm sure that your kids were very interested in joining the praznik and doing different crafts themselves. The appearance of this celebration, which is celebrated on March 17, the day of the death of St. Patrick, a monk who baptized Ireland and is ranked for it to the saints has a very interesting history. Recently I even wrote about this in my research paper example. Patrick was born in the IV century in a wealthy family ruled by Rome. The real name of Patrick is Magon. At the age of 16, he was abducted by pirates and taken to slavery in Ireland. The master of Magon decided to give the prisoner a new name and contemptuously named his young slave Patricius - "noble man, patrician". According to the legend, St. Patrick, during the sermon on the Holy Trinity, tore off the clover growing under his feet and, raising the trefoil over his head, showed the Irish how God the Father, Jesus Christ and the Holy Spirit are unity. 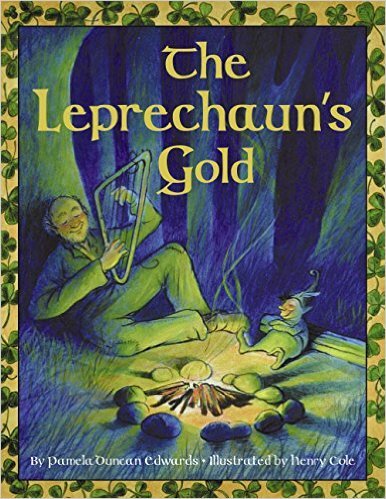 Since then, three green leaves of clover have become the Irish symbol of the Holy Trinity, and the green color of the trefoil is the color of the whole nation.